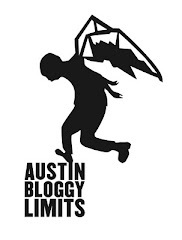 If you live in Austin, you probably already heard that tickets for Austin City Limits Festival '09 went on sale today. The cheapest tickets have ALREADY sold-out but you can still get tix for a pretty good deal considering there's something like 130 bands that play the Fest. Last year I just attended all the after-parties, which was awesome but ended up costing more than a 3-day ACL pass. The bright side of after-parties is MUCH smaller crowds, MUCH cooler temps and WAY easier bar access. I highly recommend doing the after-party thing. By the way the ACL Fest Line-Up won't be announced for about 2 more weeks, so stay tuned. You can check out more from Australian duo, Empire of the Sun over at Walking on a Dream.com. In short, I'd file this under music that's more popular over-seas. But it's so darn catchy isn't it? Somewhat reminds of MGMT crossed with Cut Copy.